We are loving this video for “Thingamajig” by Lucky Diaz and the Family Jam Band! It’s just about as sweet as the Hershey’s candy bar that once shared its name. The band’s first live-action video is filled with vibrancy and aptly displays the magnetic connection between the husband-wife team, Alisha Gaddis and Lucky Diaz. Both are frequently referred to as the cutest couple in the kindie world, which is true, but they also bring a level of energy and positivity to their music which is infectious. You just can’t have a bad day when you listen to this band! Listen to and grab your copy of this song here! 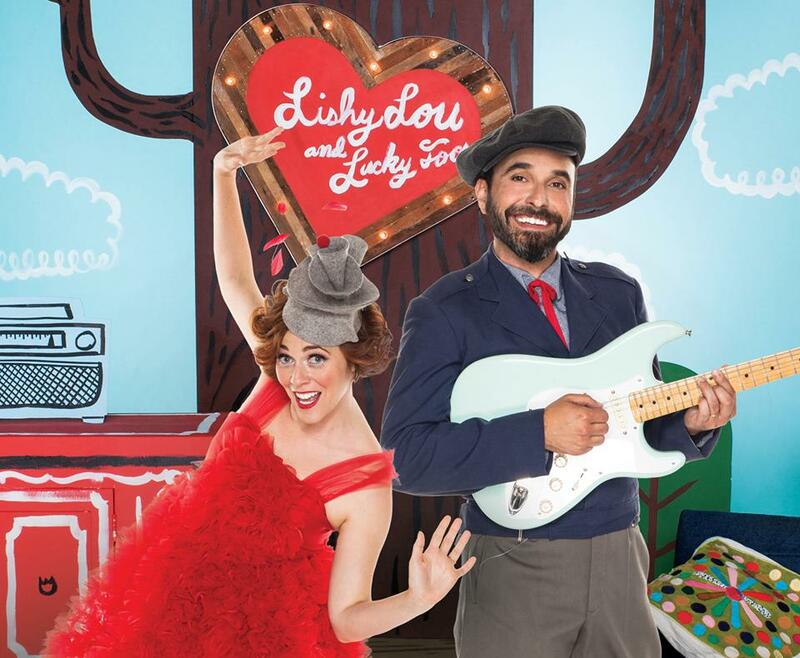 Like the video for “Thingamajig,” the show will be filled with brightly colored visuals featuring the characters Lishy Lou and Lucky Too who live together in a magical treehouse and are visited by friends and guests. Each episode follows Lishy, Lucky and their myriad of friends and guests as they solve various problems that come up. They’re a bilingual household (English and Spanish) that is always filled with music and dance, encouraging movement and learning through song. So get your dancing shoes on and get ready to jump, jive and swing as the music of Lucky Diaz and the Family Jam Band once again set the stage for the perfect dance party! California’s Tricycle Music Fest 2013 – Back and Bigger Than Before! Summer may be quickly moving into Fall but the Bay Area is about to heat up as the most supreme family music festival hits the West Coast. Taking place every weekend in September, October and early November, the 5th annual Tricycle Music Fest will peddle its way through 28 libraries for a total of 29 FREE concerts featuring 9 award-winning performers (full schedule below). 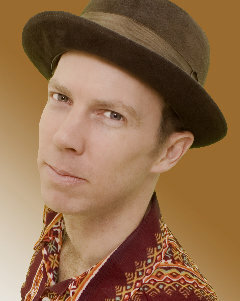 Think indie music– family style– and libraries and you have the essence of Tricycle Music Fest. Because playing is just as important as singing in early childhood learning, there will be a raffle offering one tricycle to a lucky concertgoer at each event. All the more reason to skip the nap, grab your boogie shoes and catch a show! The Not-Its! to open Tri Fest the weekend of September 7 and 8 with 4 shows! Remember your first rock concert? 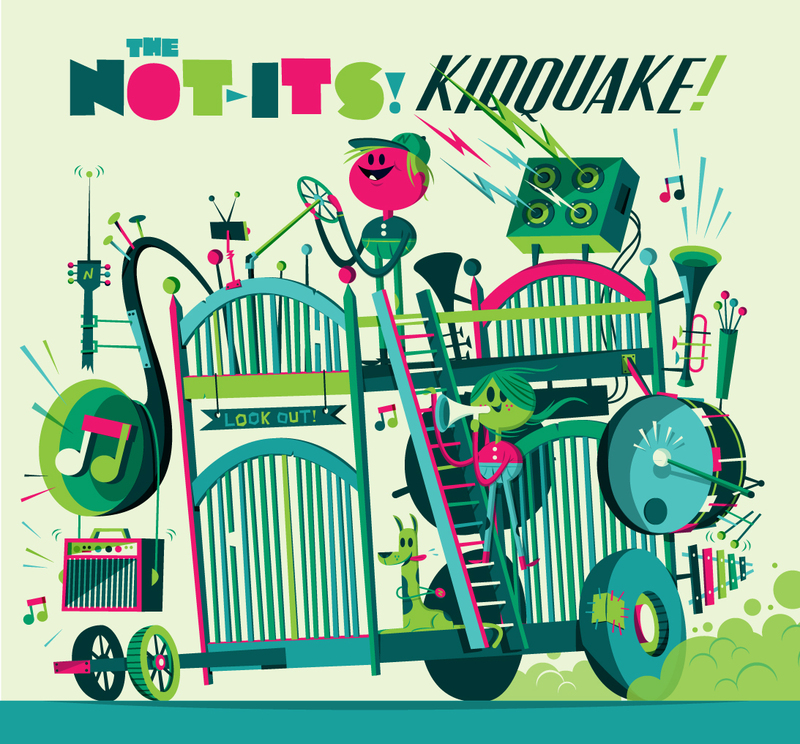 Now your kids can too as Seattle’s most rockingest band, The Not-Its!, open this year’s Tri Fest with a bang! Armed with an energetic blend of power pop and serious rock n’ roll, this fashionable quintet puts the phrase “shake your sillies out” to shame. Curious? Get to know The Not-Its! in this clever video put together by the San Francisco Library and the San Mateo Library. For more information on Tricycle Music Fest, please visit sfpl.org/tricycle and smcl.org/tricycle. Also, stay tuned to this site for more updates, videos and music from each of these awesome bands.